Today marks the 69th birth anniversary of eminent architect and art critic Shamsul Wares. He was the professor of Architecture Department of Bangladesh University of Engineering Technology (BUET). He has attended as juror and speaker in many seminars, art and architecture exhibitions, competition, architecture biennial and triennial in our country and abroad. He frequently writes for the artists' brochures, art and architecture journals and creative publications. He was also featured in the acclaimed documentary "My Architect: A son's Journey", based on Louis I Kahn. Wares has designed many residential, institutional and public buildings. He has served as president of The Institute of Architects, Bangladesh (IAB) for two terms and has led the Bangladesh delegation at five ARCASIA meetings. He was awarded the Life Time Achievement Award for Architectural Education by the institute in 2009. He also serves as a technical advisor to a number of Bangladesh Government Organisations including the Ministry of Public Works, Ministry of Cultural Affairs, Dhaka University, Export Promotion Bureau, etc. Wares has been a member of international design competition juries including Architect of the Year Award (AYA) in New Delhi (1997 and 1999), ARCASIA Award for Architecture, CAA 7th International Student Design Competition (2006). He has delivered papers at several International Seminars in Asia and beyond. 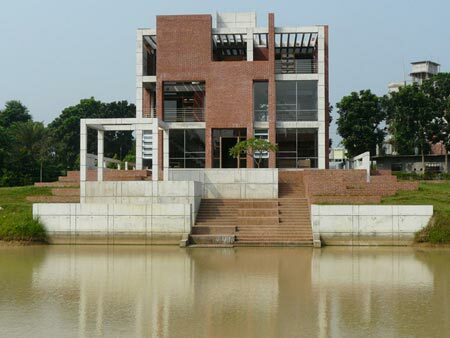 Wares is a Bangladeshi born architect who worked under Louis I. Kahn, American architect and his associate, Mazharul Islam, the father of Bengal Architecture. He is the dean of the School of Environment and Design at the University of Asia Pacific, and an Architectural consultant at Shisrikkhu Sthapati in Dhaka.